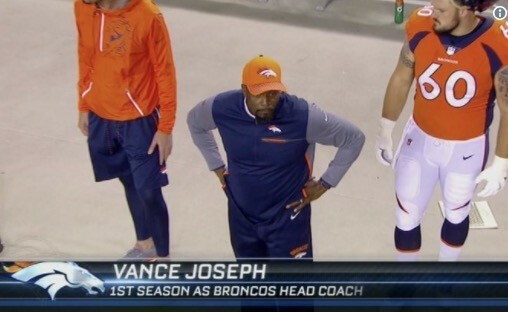 I would offer them points for trying, but it was clear from last night’s late Monday night game that ESPN wasn’t trying TOO hard when they attempted to spot Broncos coach Vance Joseph on the sideline. For those keeping score at home, the guy on camera is Ray Jackson, the team’s director of player development. To ESPN’s (slight) credit, they realized their gaffe and quickly shot to the REAL Vance Joseph, but at that point, it was clear: ESPN thinks black coaches all look alike.